with a deep and low timber frame, with the opulent three-dimensional fabric of the extra large recliner cushion filled with duck feathers resting on reinforced leather straps for long durability. Designed by architect Marta Figueiredo and made in Melbourne by exquisite professionals in timber and upholstery. Terramar assembles high quality materials: leather, timber and 100% sturdy woven wool. 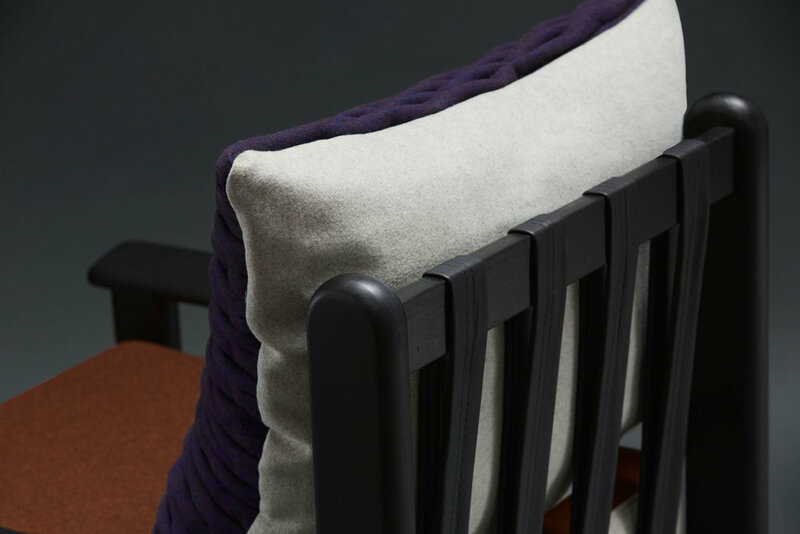 “Terra” for “earth”, describes the firm rusty colour of the sitting base, while “Mar”, meaning “Sea”, alludes to the wavy blue pattern of the cushion and the delicate curvy timber joint connecting the arms - inspired by a paddle. Colours and finishes can be customised to suit your space!